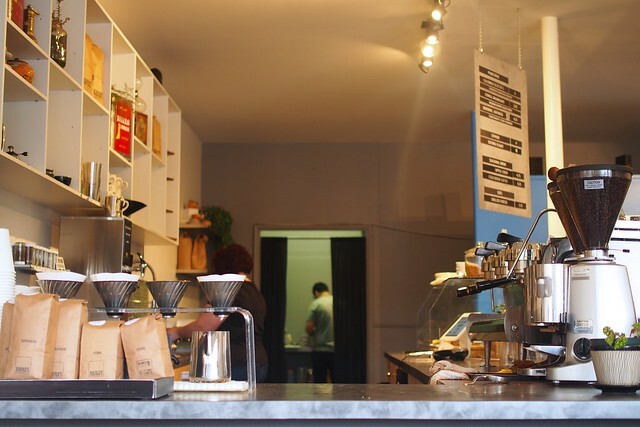 Mount Pleasant—I find Kafka's Coffee & Tea one of the better and friendlier neighbourhood coffee shops around with its serious but no nonsense approach to coffee blends and reliable selection of baked treats. 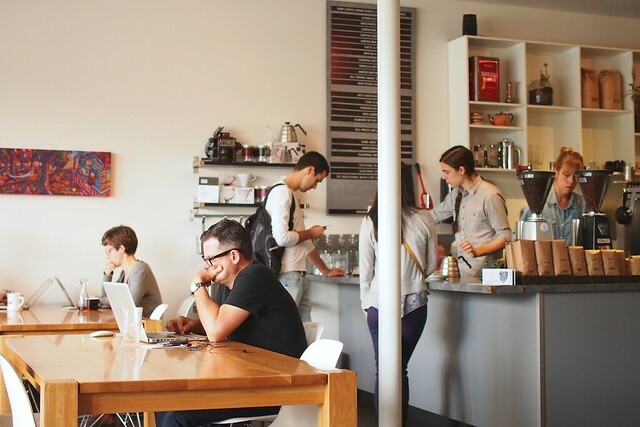 It's hard to be beat the central location on Main Street and East Broadway packed in between not only other cafes, but also, little shops and stores. 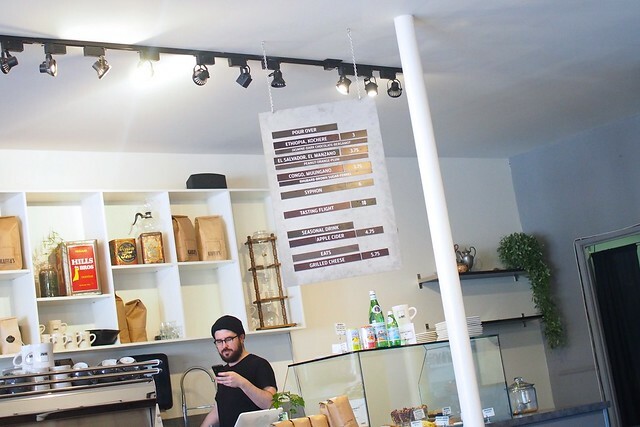 Kafka's coffee is always up to par with their baristas taking careful attention to detail. 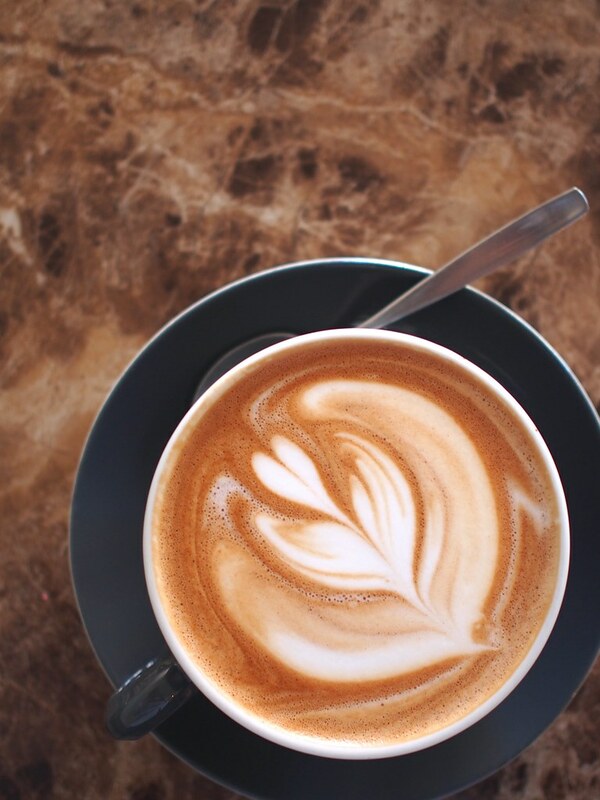 Their cafe mocha is particularly delightful in its subtle yet sweet richness. In contrast to the brighter, more ornate cafes, Kafka's is much more demure and utilitarian in its basic yet still hip design and decor as it reflects elements of the crafty and artistic businesses surrounding it. 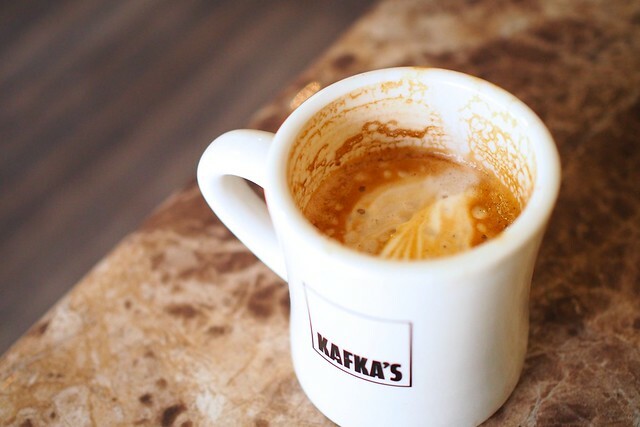 Kafka's makes a mean Americano that's perfectly comforting and solid while the American misto (with steamed milk) gives you a slightly fancier and refreshing satisfaction to it. I usually enjoy mine in tandem with a sweet scone for its fruity hints to balance out my caffeinated endeavour. 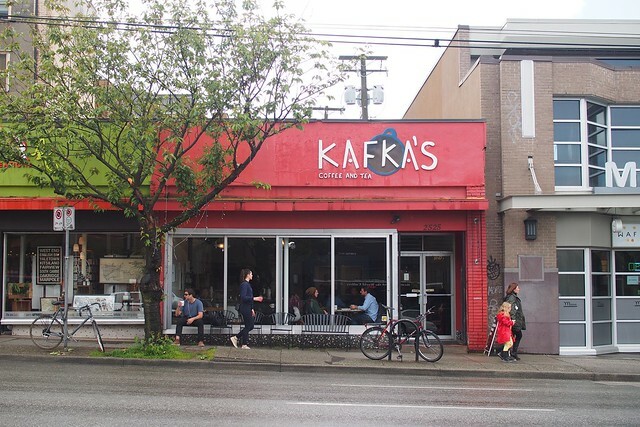 I always have the urge to visit Kafka's whenever I'm walking by with its warm, neighbourhood coffee shop vibe and friendly appeal.